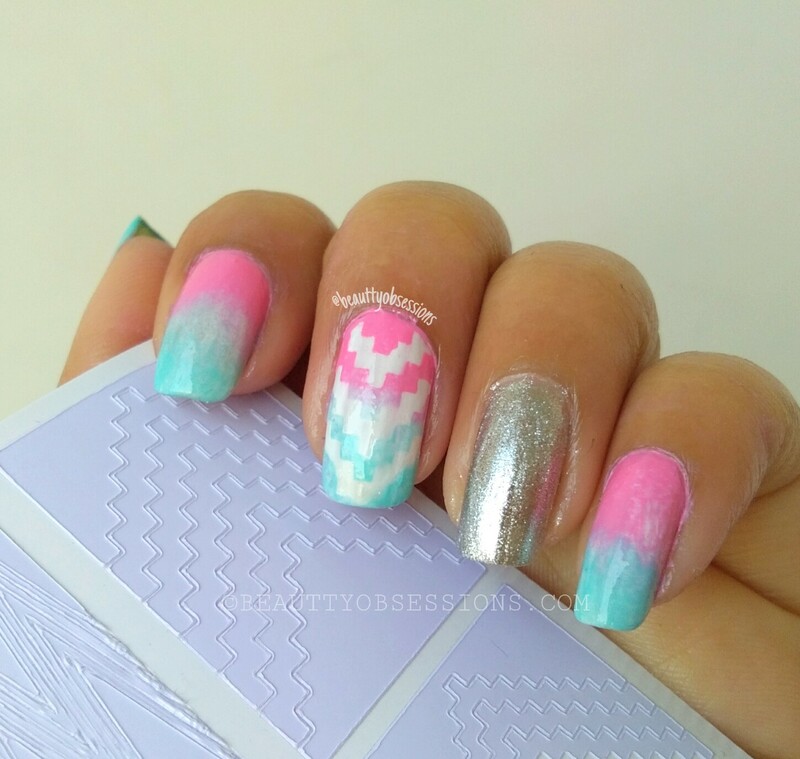 Hello peeps, here I am with a very pretty, cool, summery ombre nailart.. It is already so hot here in Ahmedabad and summer has already arrived dude.. I love pastel colours and light colours during summer. Hence decided to add some pastel hues to my nails as well. 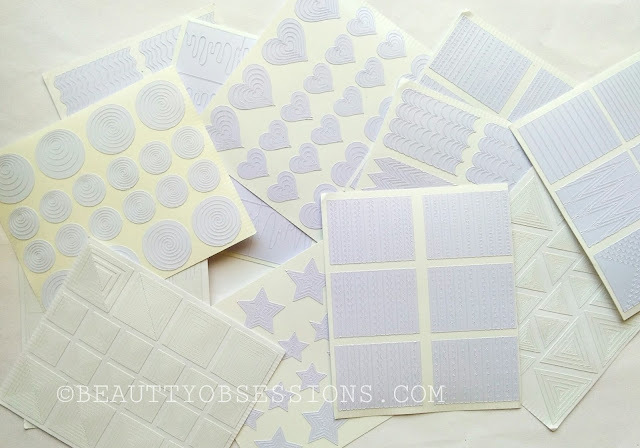 Recently I have received some french tip nail stencils along with nail sponges / wedges from beautybigbang.com .. If you are one of my regular followers then you might know how much I love beautybigbang website and I got almost all my nail stuffs from there only. You should have check out their site.. There are some awesome collection of nail stuffs and makeup stuffs as well. 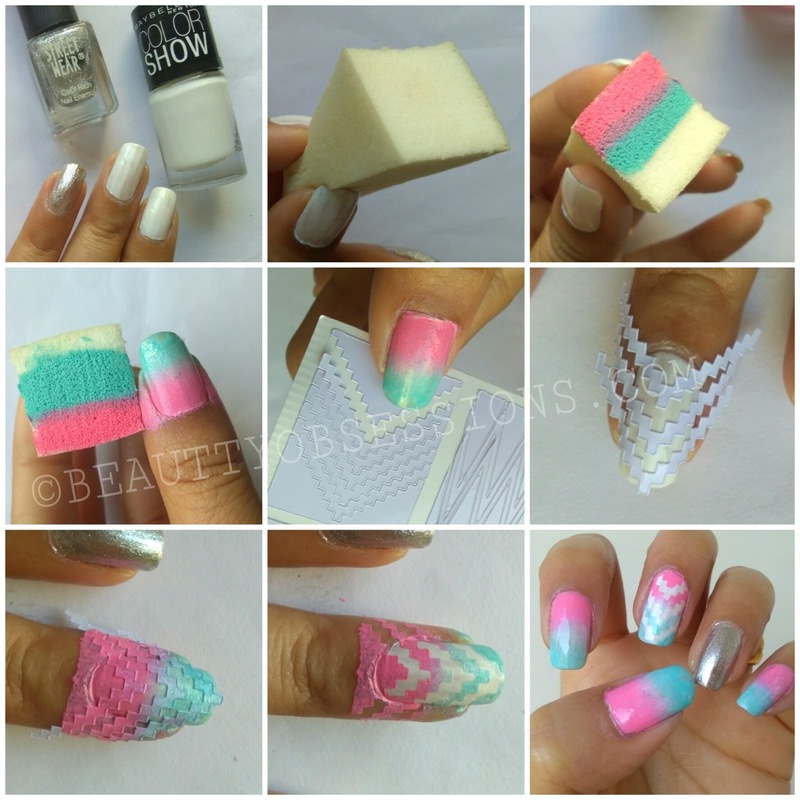 I will share a coupon code at the end of the post, do check out..
Well, Now move to the nailart.. To keep this art summer appropriate I have used pastel shades here. I have tried to create a beautiful gradient effect using pastel pink and blue shade. I have also used the nail stencils by beautybigbang . And to break the pattern, I have used a silver mettalic shade on the ring finger nail . So let's get into the tutorial..
*refer the above picture for steps..
First apply a white polish as base colour.Wait till the white polish dry completely. 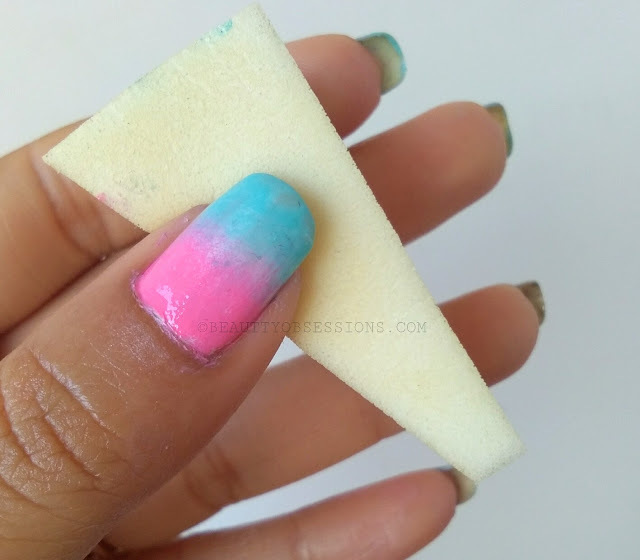 Then take a nail sponge and apply the two nail polish colours one by one on the base of the sponge and gently dab on nail and repeat the process till the desire colour came out. Now wait for few minutes and allow the nails to dry and then apply the transparent top coat to seal the design and to add extra shine. Clean the outer mess and this is (the below pic) how it will look like.. I just love the final outcome on my nails. Don't you? **Use coupon code SNIG10 to avail extra 10% discount across the site.. This is such vibrant and lovely nail art. Love the pastels and play of colours. Oh wow..these look great. I loved teh stencil design. Looks easy to do too. 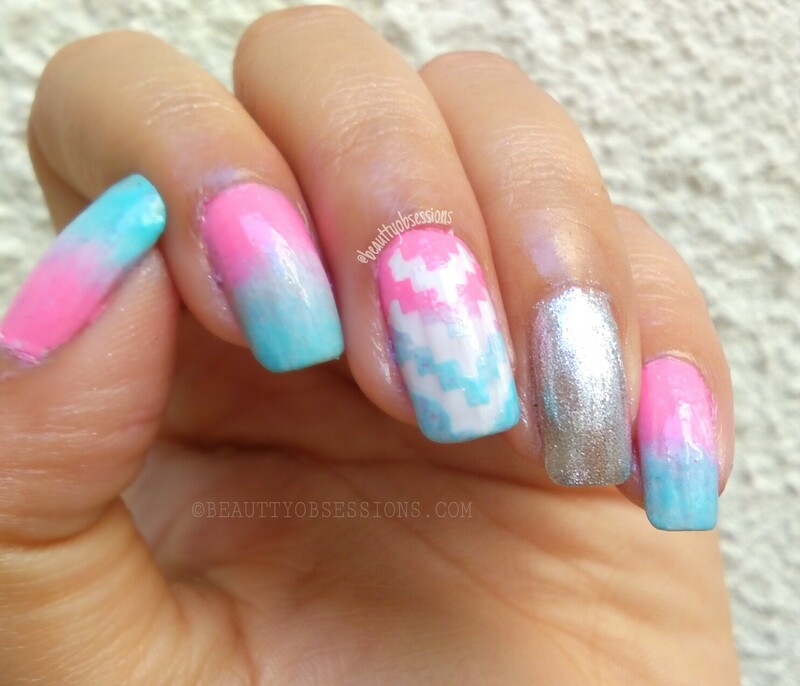 Amazing nail art with stencils, Blowed down with the combination of pink and blue. You are simply amazingly talented! I love your nail art! it is done so perfectly! Another superb nail art from you. How do you do this so well?